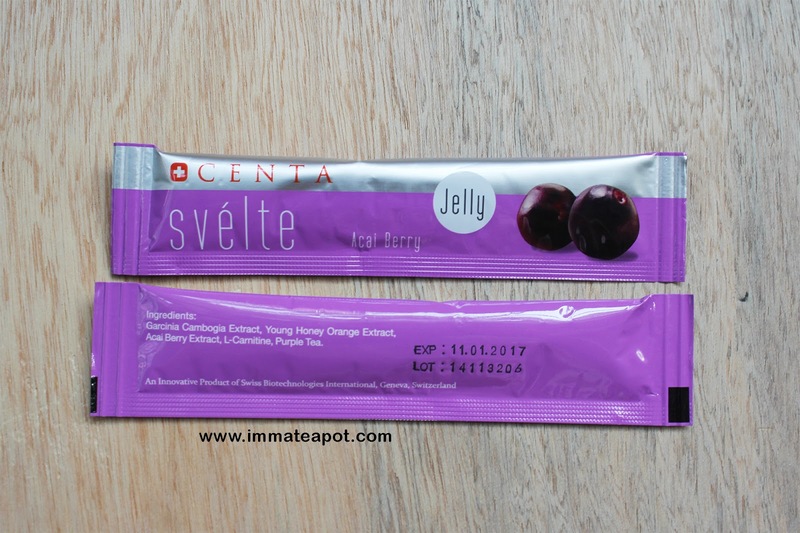 Amelie's Blog : Jelly that helps in slimming and restoring youthfulness! Jelly that helps in slimming and restoring youthfulness! 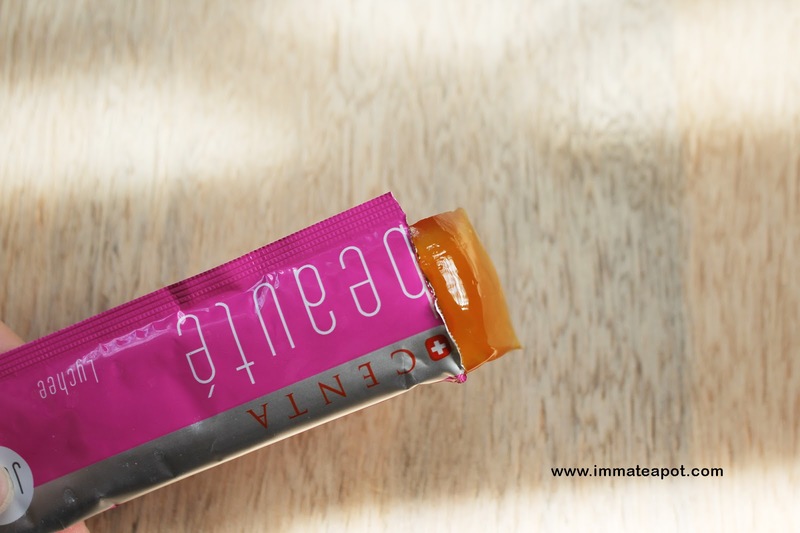 After diminishing from the blogosphere for a month, and I'm finally back with my secret to slim and youthful journey. 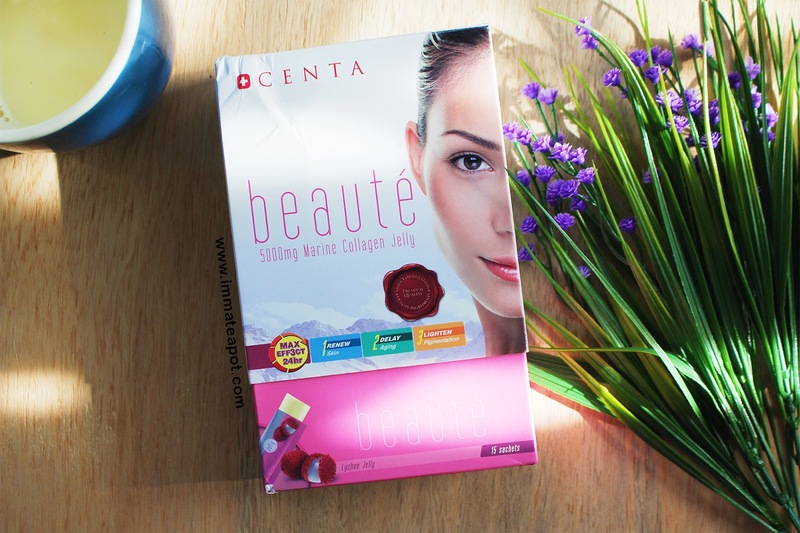 It's not hard to find slimming or collagen products in the market, whereby in a form of skincare (cream and gel) or even edible products (pills and sachet drinks), but then this is my first time to come over slimming and collagen JELLY by Centa! Lets check them out together! 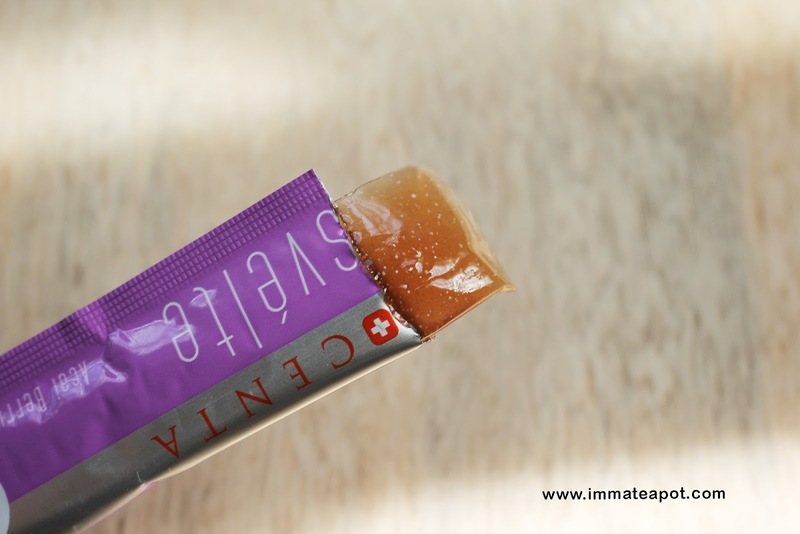 Centa, a brand from Switzerland, they come out with innovative products using Swiss biotechnologies with all natural high quality ingredients. 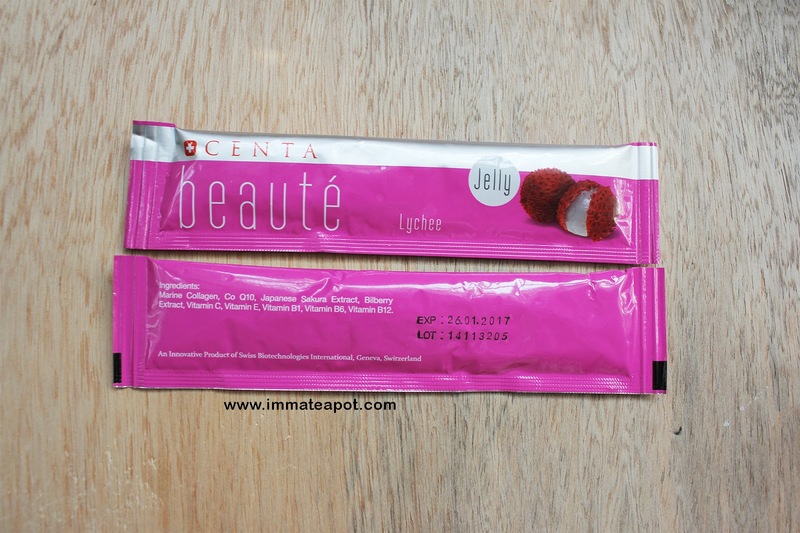 Centa ​​Beauté Marine Collage​n​ Jelly, it works well in skin renewal, delay ageing and lighten​ ​skin pigmentation with the exclusive Max Effect technology​ for up to 24 hours. 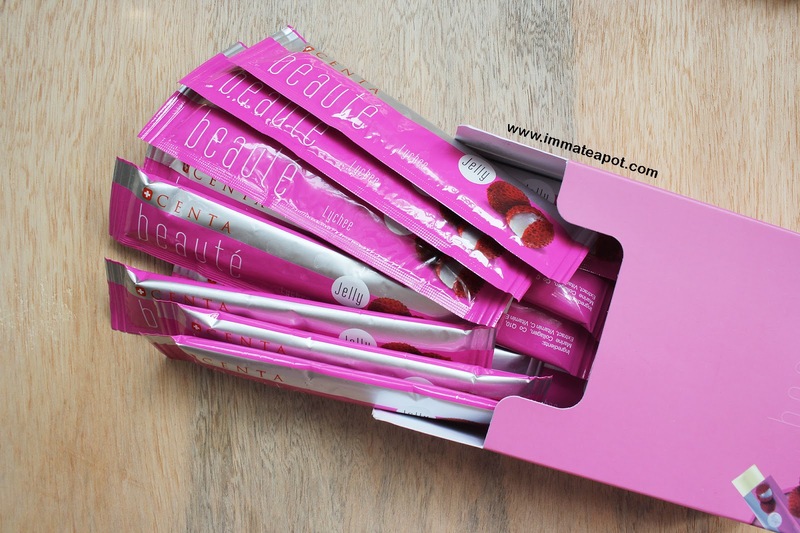 In each box, it comes with 15 sachets in long flat tube shape, handy size and super travel-friendly! There's no issue to keep like 3 sachets in our bag for daily use. We are recommended to take one sachet daily after meal (after breakfast and before bedtime for best result). 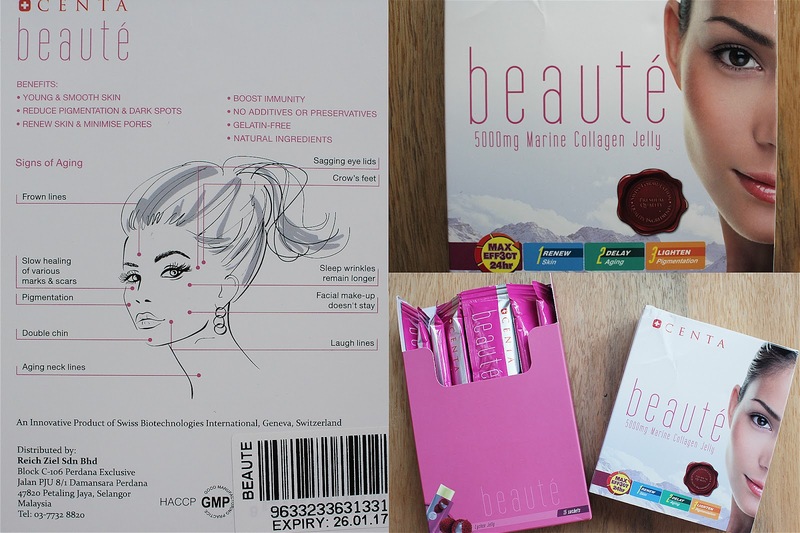 In one sachet, it consists of marine collagen (amino acid found in the ocean, restore youthfulness and elasicity), Co Q10 (antioxidant), Japanese Sakura Extract (natural whitening property), Bilberry Extract (Blueberry- antioxidant), Vitamin C, Vitamin E, Vitamin B1, Vitamin B6 and Vitamin B12. For each serving, it provides 38.5kcal of energy, 4.9g of carbohydrate and 5g of protein. No fat at all. Apparently, the jelly is very soft, smooth and looks slimy in orange-yellowish color. It tastes exactly like the lychee jelly, bouncy without any odd taste. No worry, it doesn't taste any collagen or like fish. It's very chewy and easy to be swallow, yet the after taste leaves with a mixture of taste of salty, sour and sweet. Benefits : Reduce pigmentation and dark spots, boost immunity, renew skin and minimize pores, reduce sign of aging. Have you ever heard about consuming tasty jelly and it makes you slim down anytime anywhere?? 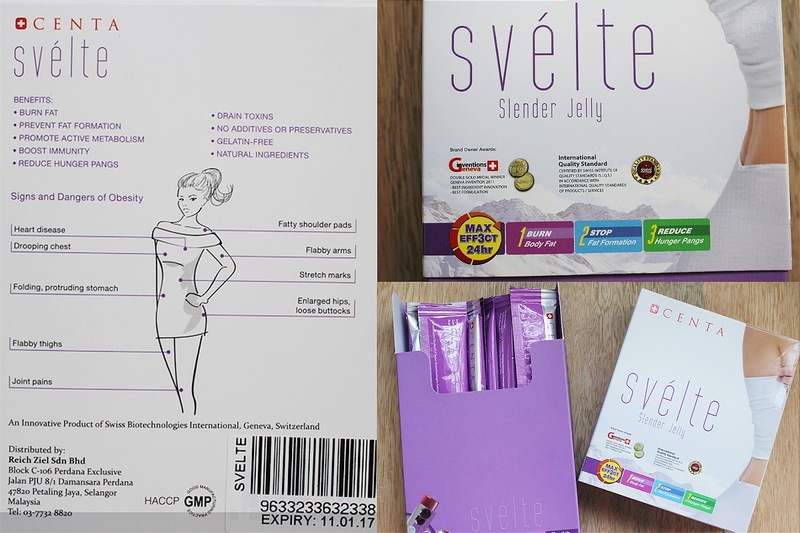 Centa svélte Slender Jelly, works like a miracle, it maintains weight loss and keeps you slim in just 3 steps! Slender Jelly helps to burn body fat, stop fat formation and reduce hunger pangs with the exclusive max effect technology which last up to 24 hours! 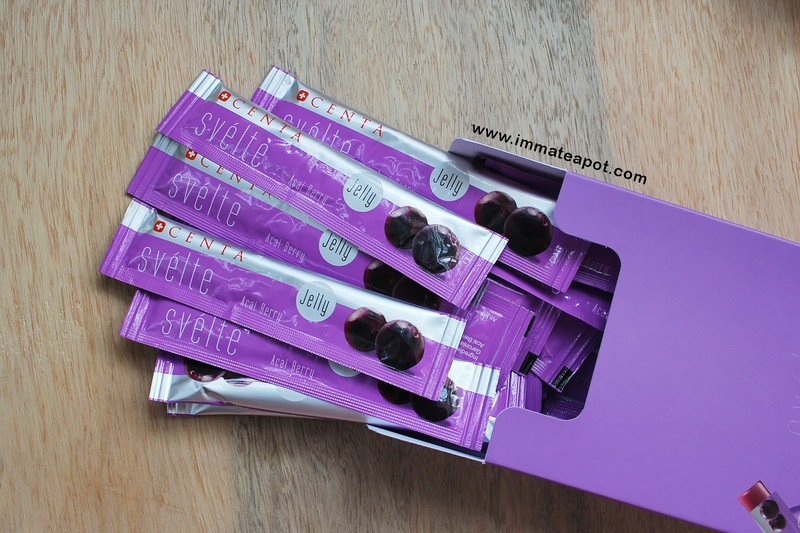 It contains of 20 sachets in each box with the size of 12g each. Recommend to take one sachet with 300ml water before breakfast and dinner. It helps keeping you full and reduce the amount of food taken. Again to emphasize, all ingredients are premium and natural. It consists of Garcinia Cambogia Extract (cut back appetite and boost fat burning), Young Honey Orange Extract, Acai Berry Extract (promote weight loss), L-carnitine (produce energy) and Purple Tea (improve body metabolism). For each serving, it provides 4.1kcal of energy, 2.63g of carbohydrate, 1.6g of dietary fibre, 0g of fat and protein. Visibly, it's smooth, bouncy and with some grainy ingredients within. The color is no much difference from lychee berry, but slightly darker tone to brown. The texture is much like agar agar, less chewy compare to lychee jelly yet there comes an after taste of grainy feeling and combination taste of sweet, sour and salty. Please take some water while consuming this, it helps to reduce the grainy feeling. Benefits : burn fat, prevent fat formation, promote metabolism, reduce hunger pangs, boost immunity, drain toxins. Well, that's all of my beauty secret! Get yours now at Watson or Guardian Store, it's never too late to be youthful again or slimming down in the easiest way! After looking over a few of the blog posts on your web site, I really appreciate your technique of writing a ipadair3i blog. I saved it to my bookmark site list and will be checking back in the near future. Please check out my web site too and let me know your opinion.